I actually remember that advertisement in many gaming magazines back in 1996. The Nintendo 64 was kind of like a dream system for me. Mario in 3-D, Star Wars games that actually looked like the movie and the whole First Person Shooter genre just appearing out of thin air on consoles was a lot to take in at the time. 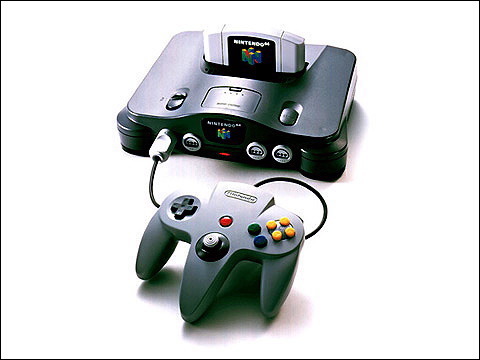 The Nintendo 64 may not be the best Nintendo console with it's lack of games and cartridge format causing a lot of issues, but not many can doubt that the amount of fun had with this console is hard to match. I remember having deathmatch duels with my friends on Goldeneye for nearly 3 years straight without ever getting bored of the game. If that doesn't leave an impression on you, I don't know what will. The Nintendo 64 will always be remembered as the console that brought the word "Party Games" into the fold with consoles. Congratulations to the Nintendo 64! Yea, N64 suffered a lot back in the days. Gamers these days nag about how Nintendo 'abandoned' them during the Wii years. Because they believe Nintendo only caters to casuals with Wii Sports and Wii Fit and nothing more (they conveniently avoid mentioning that Ninty delivered almost every franchise in their repertoire for the Wii). 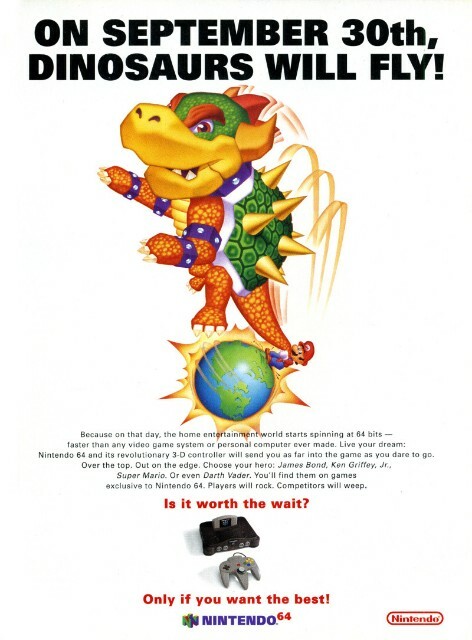 Anyway, they seem to forget that back in those days, if it wasn't for Rare Ltd. and their games, most N64 owners would've find it impossible to survive those long months where there was nothing else available to play. Now, I loved my N64. Played mostly FPS on it (Turok 1, 2 & 3, Goldeneye 007, Armorines, Doom 64, Duke Nukem Zero Hour, Duke Nukem 64, Hexen 64, Perfect Dark, etc.) aside from Nintendo and Rareware games. I have fond memories of playing Super Mario 64 on x-mas time. It was an amazing piece of software that went on to influence a lot of game makers. Including Gabe Newell. I remember playing Mario Kart 64 with my family and friends and having a genuine laugh out loud time. Incredible experiences that are now part of my life. That experience also includes having to deal with the lack of 3rd party support for the N64. There were no JRPG's to speak of. And only 1 Resident Evil game made it to that console: RE2 (Resident Evil Zero almost made it). It was painful at times. I have to admit that. Yet overall, I have mostly happy memories of having been a N64 owner. Happy anniversary N64! (yes, I got this a day late).